There’s no need to leave dad out of the adventure once baby is here! Don’t be afraid to jump right in and start caring for and loving on your baby. Your bigger arms and hands will make baby feel secure. 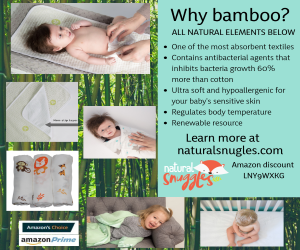 The more you hold baby the more comfortable and natural it will feel. As mom and baby get the hang of nursing, be there to change diapers before and after feedings, and burp baby. Once breastfeeding is going well, mom may want to pump breastmilk and let you give baby a nighttime meal so that she can get a longer stretch of much-needed sleep. If your first approach to a crying baby is a quick hand off to mom, hold on. Your partner doesn’t have any magical shushing powers – she simply has had more practice at it! 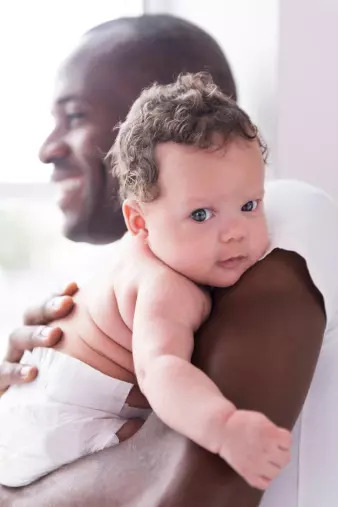 Find your own groove when it comes to calming baby: try swaddling, rocking, singing, gently bouncing, shushing or wearing baby in a front carrier. Cuddle up in a cozy spot and read something – anything, really – to your baby. Your newborn will enjoy the rhythm and pace of your voice as you read a children’s book, a fairy tale, the sports pages or even your favorite car magazine. In these early months, it’s not about what you’re reading, it’s about reading itself. Bath time may seem scary but it’s a great time for fun with baby. Yes, there’s soap, water and a slippery baby but bathing is quite easy once you get the hang of it. 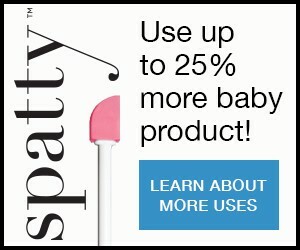 You’ll enjoy it as much as your baby! Bedtime rituals will help baby drift off to sleep more easily. Whatever you chose to do, the key is to make bedtime a predictable, quiet sequence of events that your baby will come to learn leads to bedtime. Mom may ultimately be the one to tuck baby into bed after a last feeding, but you can set the stage for a great night ahead of time. Hey Mom: Dad may not do everything the way that you do but that doesn’t mean that his way is wrong. Moms and dads have very different ways of bonding with baby – neither of them is better than the other! Unless dad is doing something that is unsafe, don’t interfere or correct him. Nurture his connection with baby. When that happens everyone wins! Learn about Taking Care of Your Premature Baby.